A player for a New York high school football team is the third teen to die on the football field in just the last week. 16-year-old Tom Cutinella, a guard/linebacker for Shoreham-Wading River High School’s football team, died of a head injury after a collision with another player in a game on Wednesday, October 1. After the collision in the third quarter, the game was halted as emergency personnel came to Cutinella’s aid. “It was a big hit,” Shoreham coach Matt Millheiser said as the player was whisked away to a local hospital only to die hours later. Cutinella, a football player since ninth grade, is mourned by his family and many in his school. “He had a great sense of humor and was just a great individual overall. He was well-liked among students and staff and he will truly be missed,” Shoreham-Wading River superintendent Steven Cohen said upon the player’s passing. Cutinella isn’t the only high school player to die on the field in the last week. Gail Sullivan of The Washington Post reports that two other teen players have died in the last seven days. 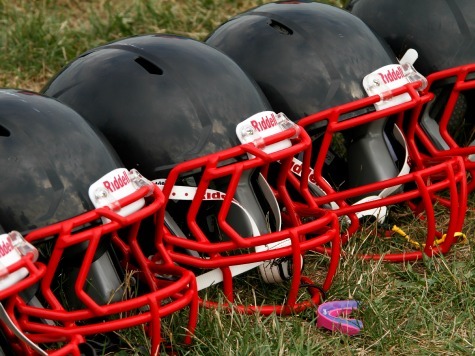 Isaiah Langston, a 17-year-old linebacker for Rolesville High School in North Carolina, collapsed during pregame warm-ups last Friday and died Monday morning. His older brother, Aijalon Langston, told ABC the death was related to a blood clot in the brain. Demario Harris Jr., a 17-year-old cornerback for Charles Henderson High School in Troy, Ala., died Sunday after he collapsed during a Friday game following a tackle. The hit ruptured an aneurysm in his brain, Harris’s coach told AL.com. “The doctors told me it could have happened in his sleep or walking down the hallway,” Brad McCoy reportedly said. These deaths fuel increased talk that high school football is too dangerous and should be eliminated. Nearly four million athletes, including about one million high school students, play tackle football in the U.S.